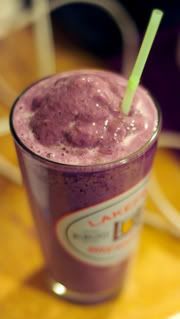 Ex Hot Girl: Tammy's Favorite Smoothie! Also, I did 30 minutes of the Wii Fit yesterday in a tiny room, and sweated my balls off. Seriously, I loved it. I have sore abs and sore arms and shoulders today. LOVE it.